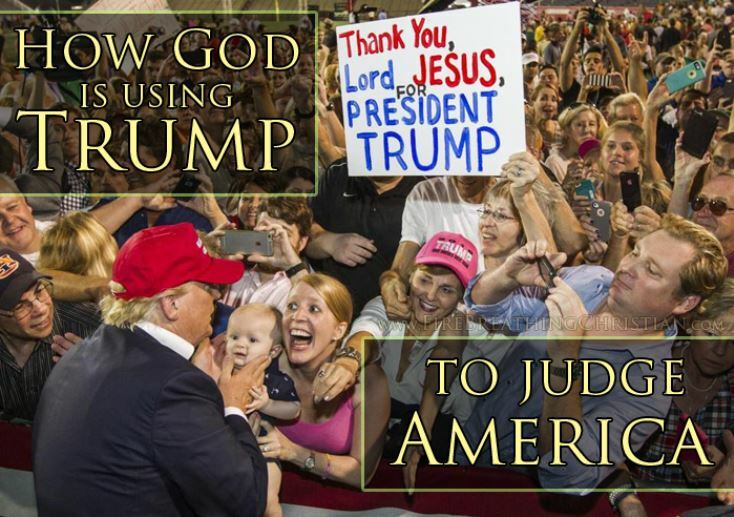 Is it Trump's god-complex or God's Trump-complex? Either way Trump and Jehovah have an awful lot in common. He’s racist and ablest. God may claim credit for making us all, but that doesn’t prevent him from picking favorites or finding some people repugnant simply by accident of birth. The Old Testament narratives are about favored blood lines, whites—I mean Hebrews—who get the right to claim land already occupied by other ethnic groups. According to God’s rules, even slaves must be treated better if they are Hebrew slaves. He’s wildly rich, and he promises to make you rich too if you follow him.He’s bellicose and vindictive. Lists of Jehovah’s enemies and stories about how he ruins their lives or plans to ruin their afterlife occupy much of the Bible. First there’s Satan and all of those uppity angels who have apparently gotten tired of acting like everlasting groupies. Then come giants and people who build the Tower of Babel, which threatens to break through to God’s home above the sky.